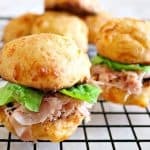 Keto Stuffing Recipe- Buttery. Crunchy. 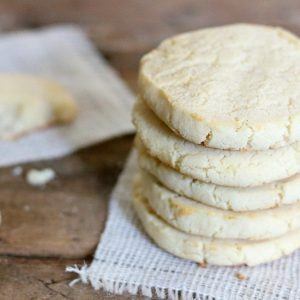 Low Carb & Gluten Free! 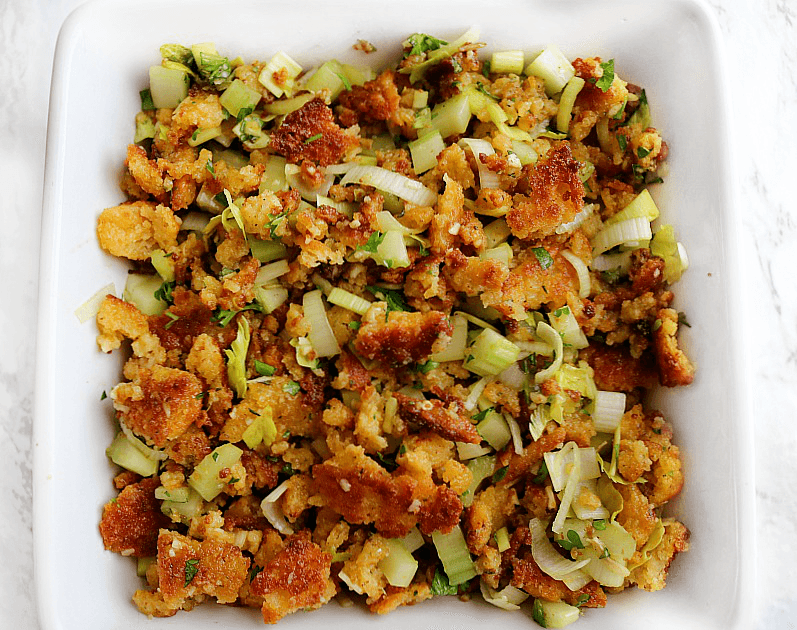 Our keto stuffing recipe is going to be a favorite at all of your holiday meals. 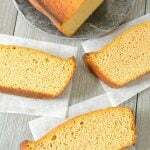 It is super simple and has all the traditional flavors. 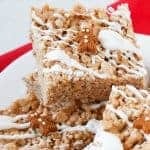 If you are looking for a holiday recipe everyone will eat (without making a low carb and regular version) this is it! You asked for it, so here it is! And honestly…. 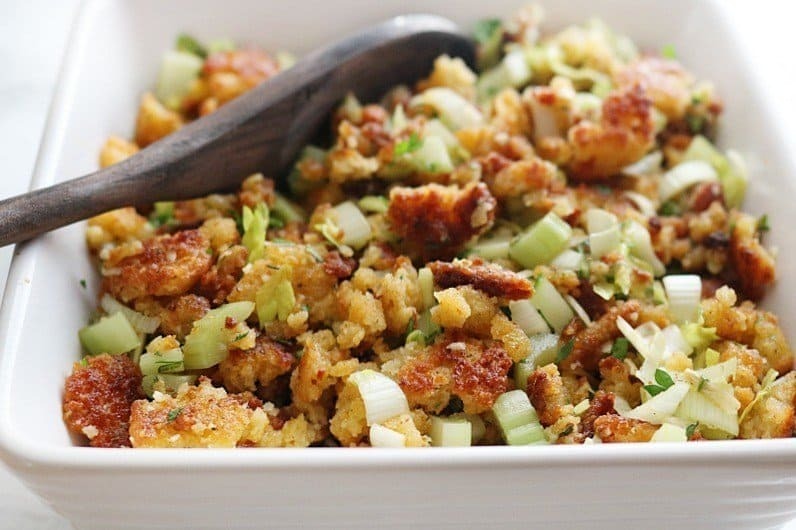 you will probably be amazed at just how simple this homemade keto stuffing recipe is. The holidays can be stressful enough without the need to cook duplicate dishes- one low carb, one regular. I vowed to avoid that this year and, because stuffing is everyone’s favorite I started there. 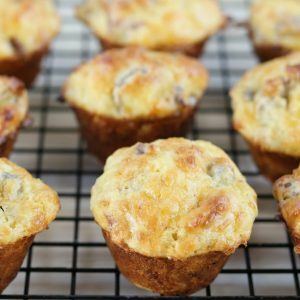 My keto stuffing recipe is absolutely so simple you won’t miss opening a bag or box and just adding butter and water. Quick version– crumble the keto bread, drizzle with olive oil and bake for about 5 minutes until lightly browned. Saute chopped veggies in olive oil for a minute or two to bring out flavors. 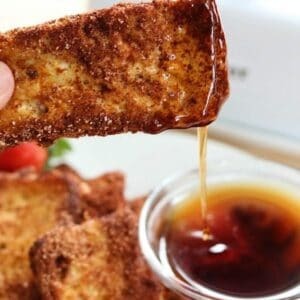 Mix together with melted butter and bake again. Quickest Version- mix crumbled keto bread with chopped veggies and melted butter. Add to dish and bake. The difference between the two is basically just time and flavor. Sauteing the veggies will bring out more flavor and pre baking the bread will give a bit more of that crunchy stuffing everyone loves. It really is personal preference. The nutrition facts will vary depending on what kind of keto bread or rolls you use. I have made this with both my fathead rolls and a 1 net carb per slice bread. 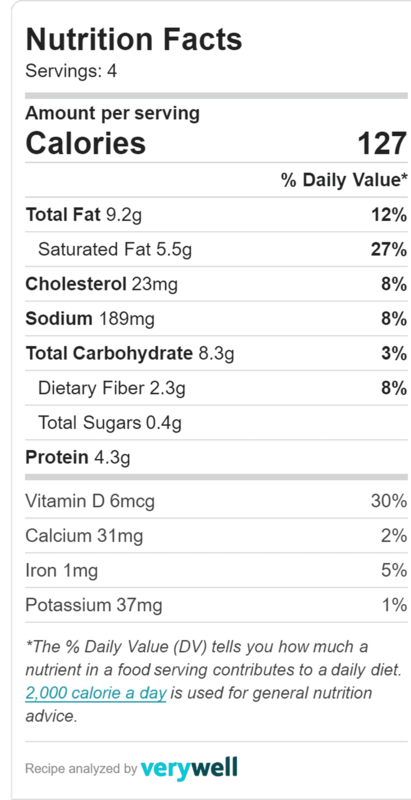 The nutrition label below is a VERY ROUGH ESTIMATE. It is on the high side for those who may have to use the higher carb low carb breads. 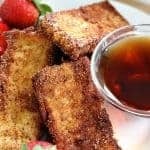 Start with your preferred low carb or keto bread. 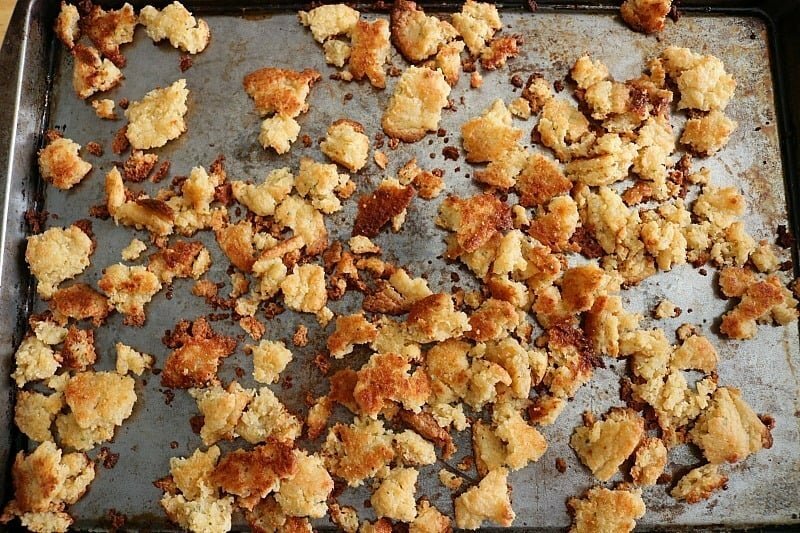 Crumble and place on a sheet pan drizzled with olive oil. Bake 5 minutes. This will dehyrdate the bread a bit more giving it a day old feel. 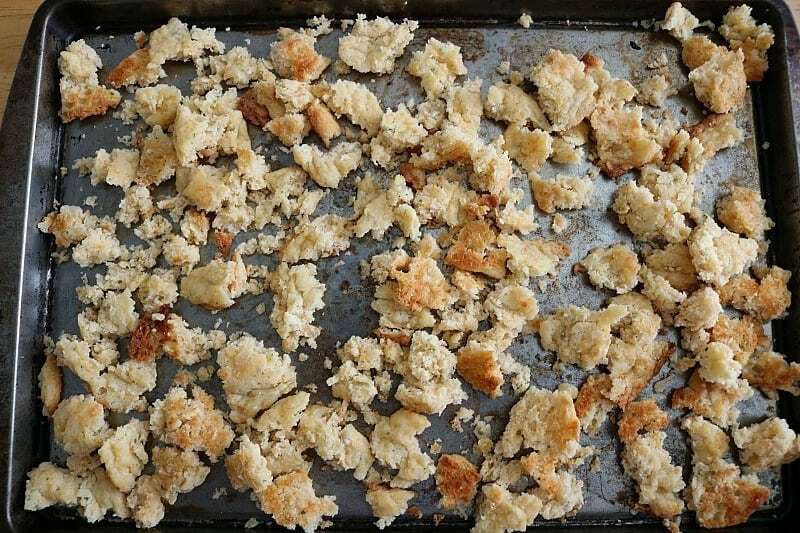 When you remove the bread crumbles from the oven they should be browned and on their way to giving you that yummy crunchy stuffing. 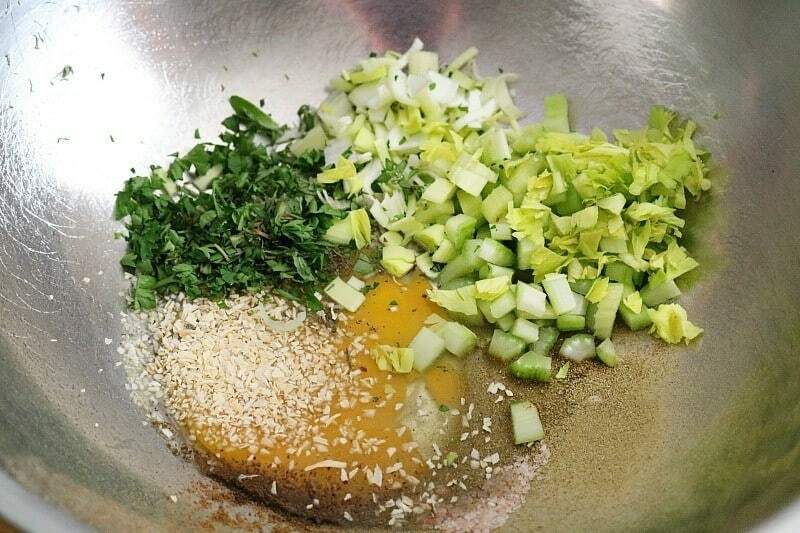 In a bowl, mix veggies with seasoning and melted butter. 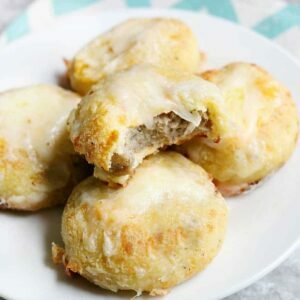 Combine all keto stuffing ingredients together and add to your favorite baking dish. Bake for 10 minutes covered with foil and 5 minutes uncovered. 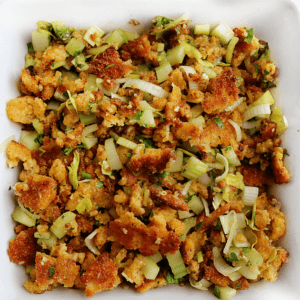 This keto stuffing recipe is perfect for any holiday or stuffing mushrooms, chicken, pork. The options are endless. Crumble the keto bread, drizzle with olive oil and bake for about 5 minutes until lightly browned. Saute chopped veggies in olive oil for a minute or two to bring out flavors. Bake on 350 covered with foil for 10 minutes and uncovered for 5 minutes. I use fresh herbs in my stuffing. I chose to add the dried Italian seasoning blend into the ingredient list because it seems that is what most of my readers have on hand. If using fresh- 1tsp parsley and thyme. I just made this stuffing this morning for lunch and dinner for my husband and myself. I am eating it now for lunch. Let me first say that I was very skeptical that this would taste good, but I was also at the same time desperate for some different sides and I have not had stuffing in about 2 years, so I made this dish and hoped for the best. Wow! This was really good. I was surprised at just how buttery it was. It tastes just like herb stuffing! The only thing I would add to make it perfect is diced onions, and my husband prefers this recipe to be pan fried a little at the end and I like it both ways.